Can you imagine, almost a quarter of the Earth’s population are on social media! And this number reflects just the active ones leaving out the lurkers and the inactive accounts. While it’s true that there are tons and tons of dummy accounts in every platform… If you know how to make money posting ads on social media, you can earn a substantial amount. Now, while the amount that you may earn is not that big, it does add towards your passive income. This, of course, means you are earning them without having to do anything other than the initial input. There are, of course, hidden dangers in making money posting ads online. So let’s dive into the details. And first, let’s start with the disadvantages. 1. You Can and Will Be Blocked Frequently. Most social media sites like Facebook allow users to report profiles that post too many ads or too many sales driven topics that they find offensive for one reason or another. Group moderators can also remove you from the group, especially if the ad that you posted does not comply with their rules and standards. On a lighter note, there are many groups in these social media sites that allow anyone to post an ad that they like. 2. You Can Get Cyberbullied. People who advertise on the wrong group or the wrong trend has a high tendency of getting trolled, aside from getting blocked. The trolling tactics can be just simple jabs to you as a person or as grave as sending you threatening private messages or emails. The earning potential of online ads can be exponential; however, it does not mean that it would be consistent. Most ad posting opportunities base their pay on the number of likes or shares that the ad has had in a given period. And guess what? Not every day is a good day for most ads. That’s how life is. So therefore, do expect that the number of earnings that you’ll get this week will be different from what you might earn the week after. But fret not for these disadvantages pale in comparison with the benefits that you can get trying to make money while posting ads on social media. Posting ads on social media would only require a computer and a stable Internet connection; sometimes you can even do it on your mobile phone. The important thing here is that you are connected to the Internet at all times. Other than your set-up, all you need to do is to search online portals for opportunities to post ads on social media while being paid to do it. Beware of scams though as they are prevalent nowadays. If they are asking money from you so you can earn, then veer away and look somewhere else. Ads need to be posted at certain times to be more competitive, but this does not mean you should stick with it. You can use automated tools that let you schedule your posts and can even cross post to other social media sites, so you don’t have to. The earning potential of making money through online ads is limitless. You need to work on it though, and never stop learning. There are free online courses that you can take so you can improve your marketing skills, which not only supplements your portfolio, but it attracts potential employers as well. 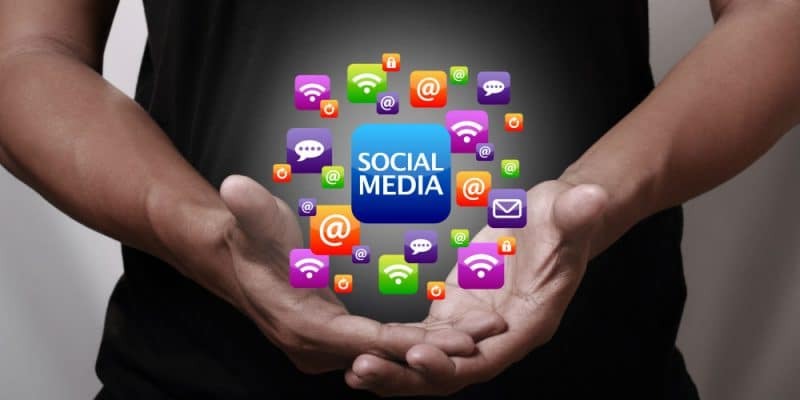 Social media was envisioned to be a platform under which people can connect and reconnect with each other. This does not mean, though, that advertisers cannot intervene and inject ideas and products that they feel would connect users better. Affiliate Marketing – this is a performance-based type of marketing where the metrics involve the traffic generated from a third party site to the main client site. You can become an Amazon Associate or a Youtube partner and create reviews that would mention this and that product and why you like using it. This kind of marketing relies mostly on how honest you can be with your reviews. You have to be able to experience how the product works. Also, you should be able to communicate your reactions effectively to sell the product. Your audience would love it if you can also provide anything that you don’t like about the product, as well as tips on how to use it better. Blogging – some social media sites like Facebook lets you write notes and promote blogs that you have written about products that you are affiliated with. Make sure that the articles or blog posts that you will be creating are unique and easy to read; quality is key here. Share Sponsored Posts – some sites offer opportunities to post jobs for them and they would pay you in return. The amount of money you can earn from this is dependent on the number of followers that you have. Here are some tips to make your ads more effective and gain you more traffic and traction. • Be Consistent. It is recommended that you maintain consistency with the ads that you post. If you like this product, then support that product no matter what, don’t suddenly say that you don’t want it for one reason or another. • Add Variety. Never stick to one format or one media. Find ways to present the ads better. Also, never stick to just one form of earning money, expand your horizons. You can run affiliate marketing while promoting sponsored services. As long as the two won’t conflict, then you should be fine. • Engage your Audience. Always, always reply to comments no matter how negative they may be. Ask them why they feel that way and what they think can be improved. This is technically just lip service so they can feel acknowledge but you can forward the feedback to the owners of the product, so it does improve. • Stick to a Schedule. Together with the first tip, stick to a regular schedule and be consistent. Most advertisers would release their media sometime in the afternoon as this has been proven to be the most active time for the majority of social media sites. If you think about it, it is not that difficult to learn how to make money posting ads on social media, but it does take a lot of determination and perseverance to succeed. You can make this as a supplemental source of income as you can always use automation tools to do the work for you. What other tips and tricks do you know (or use) to be more efficient in making money by posting ads on social media? Let me introduce myself, My name is Shweta and I am an entrepreneur , for one of my clients’ I am buying permanent article placement related to casino and Forex with the text link in new inner page of relevant and quality website. If you allow such placement on your website so please email me on which theme with respective dofollow text link you can place article and what will the price of that. Other than that if you are looking for contact writing, media buying or digital marketing services please contact me or refer me in to your contacts for that too. Hi, Shweta, and thank you for contacting me. First, I really want to apologize because of my so late response. The thing is that I did not expect to get that long vacation this year but hey – I got it. That’s why the delay. I am sorry. As for your request… Well, first, EgonSarvReviews.com is not casino and/or Forex niche so I think it’s better if you find a website in those niches. And, just out of curiosity, I checked your website and it was pretty much empty – I found quite a few pages with no content at all. Not good, ma’am. Not good for your reputation. May I recommend that you either put some content in or delete these pages. Would be much better. Anyway, I wish you all the success online, Shweta. This was an interesting article and a helpful one for people seeking a second or third source of income. I am curious, however. Can this method be used to sell “big ticket items” such as pre-owned cars or large appliances such as refrigerators, kitchen stoves, or washer-dryers? It seems like most of the items advertised through social media are household products. You can make more in one day of selling big ticket items online than you can in several months of selling small products. Hey Paul and thank you for the comment. As for big ticket items, here are two articles ( article1 and article 2) that might be helpful. Unfortunately Egon, I do not know of any tips and tricks of posting ads on social media to share with you today. But I thank you for the tips and tricks you have mentioned as I want to start posting ads on two social media sites and didn’t know an effective way to do that so thank you. Once I learn additional tricks, I’ll let you know. It is quite interesting that there is so much you should consider when posting ads in social media channels. You mentioned that the time of the post can be important. How do you determine when is the best time to post something? Are there any tools that track at what time people click the most on the ad? Hy, Sunaina, and thank you for the kind words. I am glad to hear you found the article helpful.